When you are a triathlete, you need the best triathlon cycling shoes to be able to make the transition quick and easy. This is vital to your times. The triathlon bike shoes you choose should be comfortable. They will usually be the same as the shoes you will use for your usual bike ride. You need to consider a few things when selecting your triathlon bike shoes. One of the most important aspects is if your bike has pedals that require specific cycling shoes and which ones are the most comfortable. 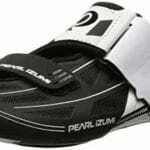 View the Best Triathlon Cycling Shoes, Below. What Does a Triathlon Consist Of? They should also dry quickly and be compatible with a tri bike, road bike or even as mountain bike shoes. The SPD-type shoes are usually the most popular. They should be lightweight, allow for a speedy transition, be fast drying and be able to eliminate odors. After reading numerous reviews. 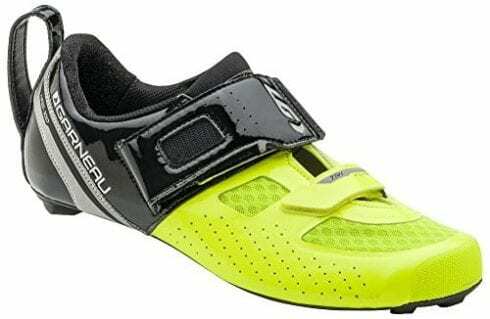 After researching a number of different types of triathlon cycling shoes, we have come up with a list of the top triathlon cycling shoes on the market and a full buyers guide. We hope this makes it a little easier for you to select the one that is perfect for you. 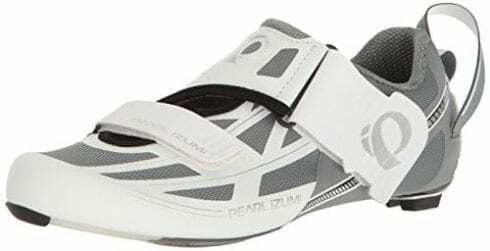 One of the best shoe for triathlete use when cycling. It features a synthetic sole with a low-top cut. The Tri Closure will help to prevent hot spots and will alleviate the pressure on your forefoot. The Unibody construction of the mens triathlon cycling shoe delivers a 5 mm stack height which leads to efficient pedaling. The seamless composite upper is of an advanced three-layer design. The shoe is lightweight while maintaining the stiffness required for pedaling efficiency. The EVA insole of the shoe offers optimal arch support while the oversized heel allows the shoe to be put on quickly and easily which is vital for your transition times when racing. The heel bumper on the shoe is replaceable and they are SPD-SL compatible. High-quality shoes for triathletes, these cycling shoes allow for a quick and easy transition which is vital to a triathletes times. They are SPD-SL compatible so will work with most tri bikes. The construction of the mens triathlon cycling shoe is lightweight with a stiffness that allows for power pedaling. The EVA insole supports the foot and arch effectively making it a very comfortable triathlon bike shoe. One of the best triathlon shoes for the bike leg on the market for male athletes. They feature an upper that is constructed from microfiber and nylon air mesh. The BOA IP1 closer is hook and loop straps making it quick and easy to transition. Construction is tongue-free and wraparound. This provides the comfort and secure fit on your foot whether you wear socks or not. 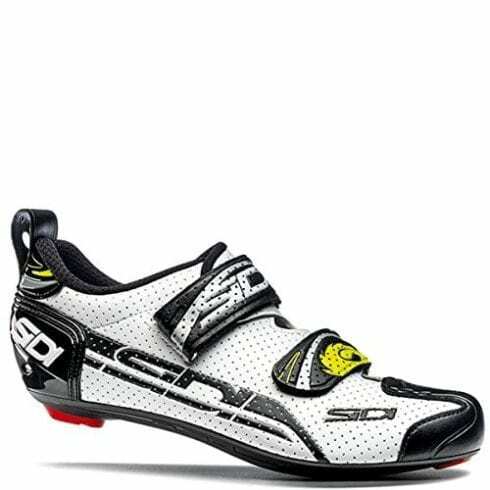 The carbon sole of the mens triathlon cycling shoe is what provides for the power transfer when pedaling. The mens triathlon cycling shoe is lightweight with a stiffness that allows for maximum power pedaling when needed. The wrap fit of the triathlon bike shoe is designed to provide great support and to conform to your foot which helps to reduce pressure on your arches and other areas. The ErgoLogic insole is removable and replaceable with a custom insole if needed. A cycling shoe for triathletes that provides support, comfort and a lightweight durability needed when participating in this demanding sport. A removable and replaceable insole allows for custom orthotics. The stiff, lightweight construction of the mens triathlon cycling shoe allows for power pedaling and makes them comfortable for the long rides as well. A microfiber, 3D nylon upper is waterproof, comfortable and will conform to your foot for a secure fit. The BOA closure allows for fast transitioning. 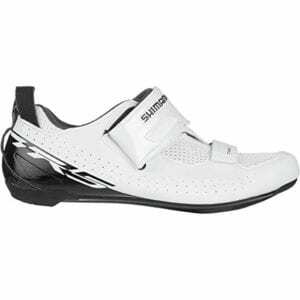 Shimano is one of the best-known brands in cycling shoes and their triathlon cycling shoe meets all the requirements for one of the best offerings on the market. They are lightweight, stylish and provides the performance you need to get ahead in this competitive sport. The uppers are constructed from mesh which is breathable and lightweight. The uppers also have synthetic reinforcements to ensure that the shoe is stiff enough to provide the power transfer to the pedals required for fast bursts. The footbed is also constructed from breathable mesh and the sole is fiberglass-reinforced nylon. For added comfort, the Shimano men's shoe offers a padded collar, hook-and-loop straps for the best fit and a pull tab at the heel to assist with quick transitioning. The Shimano is compatible with both two and three-hole cleats. A stylish, lightweight and durable triathlon cycling shoe that will not cost you a fortune. It is designed to be compatible with both two and three-hole cleats. The mesh material upper is breathable with reinforced synthetic inserts to provide the stiffness needed for fast bursts of pedaling power. The pull tab at the heel and hook-and-loop straps allow for a fast transition which is vital at race time. These synthetic and mesh tri bike shoes are designed to provide a fast and efficient transition with exceptional performance on the road as you power through your cycle portion of a triathlon. The racer fit of the shoe will reduce the stack height to the pedal of the shoe. It offers great arch support to allow for good power transfer with a Power Zone. The HRS-100 retention that includes an anti-slip membrane will hold your heel in place and reduce the loss of power when peddling. The shoe provides exceptional durability and comfort with a synthetic leather upper that includes toe protection. A very lightweight specialized tri shoe that offers a Coolmax Ergo Air insole which is designed to cope in any weather conditions. The steel cleats on this shoe will fit most road pedals. For safety and increased visibility, you get a heel reflector on this great triathlon cycling shoe. Velcro straps allow for fast transition and the reinforced nylon outsole is well-ventilated and this ensures your foot remains cool and dry throughout the cycle portion of the race. Lightweight, comfortable and durable this tri cycling shoe enables you to transition quickly. It is designed to provide you with the ability to power through the cycling section of the triathlon with cleats that will fit all major road bikes. Men and women are different and they require different types of triathlon shoes to be able to perform at their best. 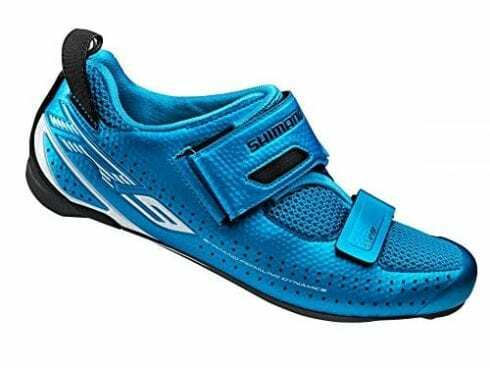 Shimano recognizes this and has designed a triathlon shoe for the female triathlete. These women's triathlon bike shoes are constructed from a breathable 3D-mesh material with a synthetic leather upper. It allows for a fast transition with a T1-quick strap with an extra wide collar. This enables fast and efficient entry into the shoe. Hook-and-loop straps ensure that the triathlon shoe remains secure on your foot with an exceptional fit. The tongue and collar of the shoe are padded for exceptional comfort. The insole is padded with a very lightweight foam for both comfort and support. The carbon fiber composite of the sole helps to provide the ability to power pedal through the cycle section of the triathlon. An anatomical toe cap combined with air intake not only keeps your foot ventilated during the race but also helps to retain the rigidity of the shoe. The shoe is SPD-SL cleat compatible. A lightweight, breathable, durable and comfortable women’s triathlon cycling shoe that enables the female triathlete to perform at her best. Designed for a fast transition with a hook-and-loop closure and asymmetrical heel pull. This Shimano triathlon bike shoe designed for women will give you the ability to power through the race with fast transitions while providing great comfort and support for the athlete. If you are looking for a triathlon cycling shoe that will not break the bank then look no further. The puller and reversed Velcro ensure that you get a speedy transition. The support is offered by the Power Zone with also increases the arch support of the shoe allowing for superb power transfer. The HRS-80 ensures that the shoe is held securely in place and allowing for efficient power transfer. The nylon outsole is reinforced and is designed to allow your foot to be ventilated throughout the race. 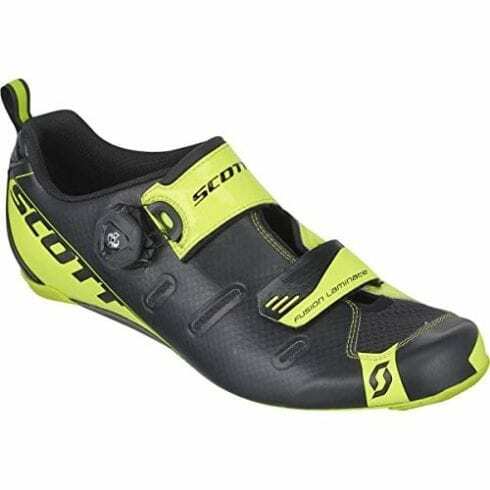 A lightweight tri cycling shoe that offers steel cleats which are designed to fit all SPD pedals and major road bikes. One of the top triathlon cycling shoes that offers a roomy fit. The synthetic leather upper includes toe protection which enhances not only the comfort of the shoe but also its durability. Fast and efficient transitions. Lightweight and durable with toe protection. Reinforced nylon outsole and steel cleats that will fit all major road bike pedals and SPD pedals. Excellent arch support with a roomy fit. This is one of the best shoes for triathlon riding that offers all the benefits of a top shoe without the price tag. The TRI X-speed ii is a cheaper alternative. 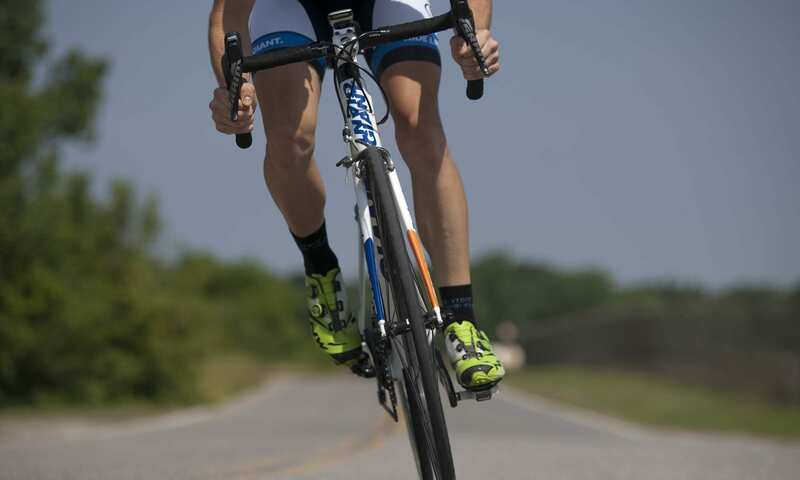 Top cycling shoes for triathlon athletes, allowing them to perform at their peak. They are designed for carbon outsoles with an 8mm screw length. The Ergo Bonded Upper is designed to be as lightweight and comfortable as possible. The stiffness of the shoe allows for exceptional power transfer when pedaling hard through the cycling section of the triathlon. It is also designed for exceptional transitions to help you keep your time down. These men’s triathlon shoes offer a cuttable main strap to keep your foot secure. This triathlon shoe is designed to be as lightweight as possible so as to keep your foot supported, yet comfortable throughout the cycle section of the race. 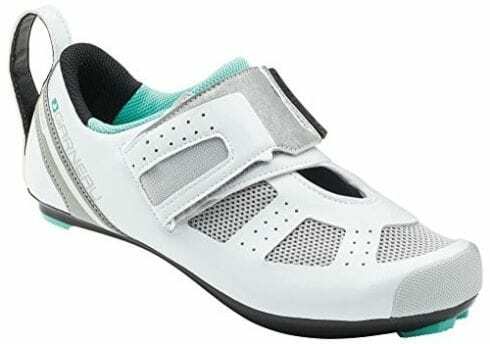 Fast and efficient transitions, great performance and a lightweight secure fit make this one of the best in class triathlon shoes for the cycling portion of the race. Ergo Bonded Upper is designed to cope with any weather conditions, it is ultra-comfortable and super light in construction. These men's tri biking shoes are constructed from an injected Carbon Fiber with a matrix of Nylon for all weather riding. This construction will maintain its rigidity even as it ages. The sole will remain stiff and extremely lightweight. The heel cup is reinforced and this helps to support and stabilize the heel. The anatomically shaped plastic will ensure that you can power pedal transferring power efficiently without any heel slip. The plastic also provides the protection required should you be involved in a crash. The heel pad is replaceable, this allows you to walk comfortably in the shoe. The Politex upper makes this an extremely durable men’s triathlon shoes. One of the best men’s triathlon shoe this is made from composite materials. These materials make the shoe extremely lightweight, durable and comfortable for triathletes. The Politex upper is durable and strong. A triathlon biking shoe that provides the stiffness required to power through the cycling section of the race while keeping your foot protected and comfortable. Designed to allow for fast transitions. A women’s triathlon bike shoe that is designed with a heel bumper that is replaceable. The Anatomic Tri-Closure will ensure that pressure is reduced on the forefoot and eliminates the hot spots. The heel bumper board will provide for a very low stack height, while the heel pull is oversized to allow for exceptionally easy transitions. The composite upper is designed with an advanced 3-layer seamless construction. This makes the shoe extremely breathable and conforms to your foot. This women’s triathlon cycling shoe is lightweight yet the integrated carbon power plate is stiff enough to provide for exceptional power transfer. This women’s triathlon bike shoe is one of the best on the market. It offers a heel bumper that is replaceable. The design of the shoe is such that it will reduce the pressure on the forefoot and eliminate the hot spots on your upper foot. The triathlon shoe is breathable and lightweight. It will allow for great power transfer when pedaling while conforming to your foot for ultimate comfort. The transition is no problem with these great triathlon cycling shoes. It offers an entry system which allows you to start pedaling immediately. The hook-and-loop strap will lock down in an open position. The extra-large heel loop is designed to allow you to slip your shoe while on the move. The shoe is clipped onto your bike even before you slip them on. This is one of the fastest transition cycling shoes for triathletes on the market. The Carbon Composite construction of the shoe offers you the power transfer that you need to pedal hard. The rubber pad allows you to run comfortably through the transition area while the microfiber insert keeps the heel ventilated and your foot cool and dry. The performance pro footbed provides the arch support you require. The sole is extremely lightweight and durable with a carbon composition to keep it stiff and able to provide the power transmission you need when pedaling hard. This triathlon cycling shoe is designed around a really great transition. With a rubber pad in the heel to allow for you to move quickly and comfortably through the transition area. The microfiber insert helps to ventilate the heel and foot. The shoe clips onto the bike and stays clipped on as you transition through. Slip your foot into the shoe on the pedal and get moving immediately as the shoe is designed to be tightened on the go. Durable and lightweight, this is one of the best shoes for triathletes. 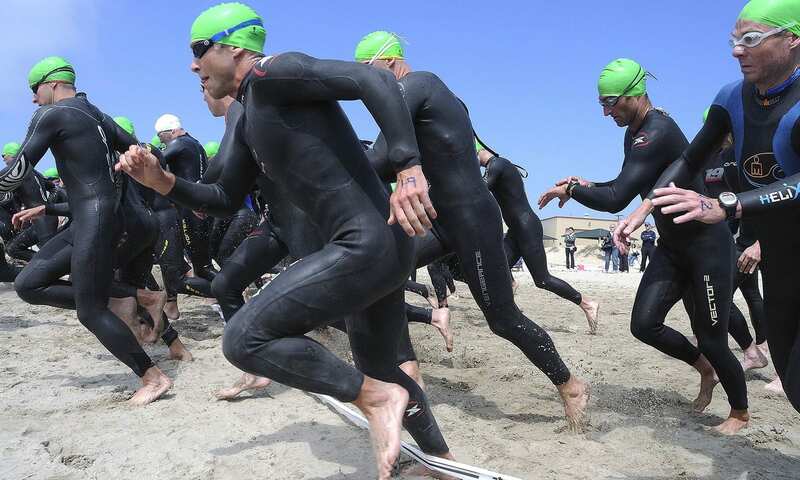 Triathlons are intensive, exhausting races that will challenge you on every level. They include three different types of disciplines. Running, swimming and riding are the three disciplines you will have to master to partake in this great and growing sport. A triathlon can also be run as a relay race. This means different athletes will participate as a team. Each athlete will tackle the three different disciplines. Triathlons though are usually run as an individual race. There are some very important aspects to take into consideration when selecting the right triathlon cycling shoe. These include the fit of the shoe. You also need to consider the material used in the construction of the shoe. The type of cleat system the shoe offers and the gender specificity of the shoe. If you have the right pair of triathlon shoes your transition will be seamless and your feet will be fresh and strong for the last leg of the race, the run. This is the most important aspect of your triathlon racing shoe. Having the right fit can make all the difference, not only in the way you are able to power but also in comfort and support for your foot. The ride is the middle part of the race and keeping your feet secure and supported through the ride will make the long run to finish a lot easier. The fit should also be perfect to allow for a fast and efficient transition between the swim and ride, and then the ride and run. Having a shoe that fits properly will allow you to slip it only and off quickly and will keep your foot secure and supported throughout the ride. There are many different shoes on the market and they incorporate a number of different materials from the sole to the upper of the shoe. Having a shoe that is constructed with a lightweight and breathable material is essential. The material of the shoe should also allow the shoe to conform to the shape of your foot. 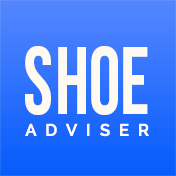 The sole of the shoe needs to be stiff enough to provide for the power transfer. It also needs to be flexible enough to allow you to run or move through the transition areas with ease. The bike ride follows the swim, therefore the material of the shoe should allow for great airflow to allow your foot to remain cool and dry when riding. The shoe should be able to be worn with or without socks. Many of these shoes have synthetic leather uppers or mesh uppers. These materials are lightweight as well as durable and allow for good airflow. The soles are usually carbon fiber. This provides the stiffness required for power pedaling. Often there is toe protection on the shoe and rubber heels to allow for traction when walking or running through the transition area. The material of the top triathlon cycling shoes will be lightweight and durable and allow you to ride comfortably in any kind of weather conditions. 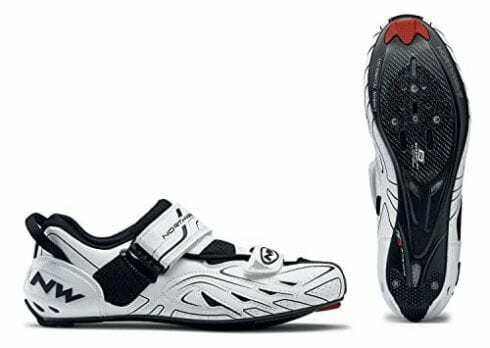 Getting a cycling shoe for triathlons that is compatible with your bike is essential. Most of the triathlon shoes are SPD triathlon. 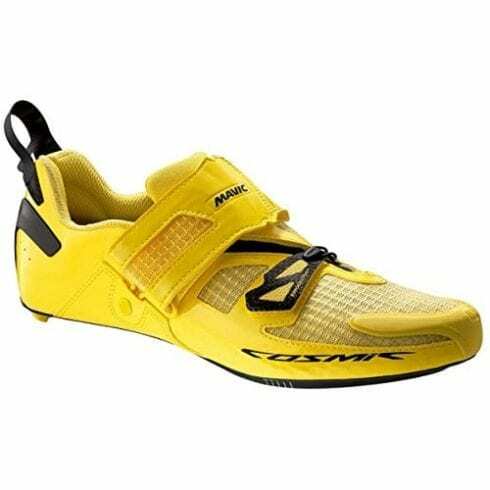 These shoes are compatible with most road bikes and are easy to lock into the bike making transitions efficient. Having your cleat system can aid in your transition as well as the shoes will remain locked into the bike and allow for a very fast transition from swimming to riding and then from riding to running. Slipping your cycling shoe on and off quickly and being able to start pedaling immediately is vital to your triathlon racing times. Men and women are different in many ways, including the shape and size of their foot. They need different types of support for maximum comfort. Both, however, will require some of the same qualities. Lightweight materials should be used as the shoe should be as light as possible to prevent any drag on the foot. They should also be breathable. The shoe should allow for great airflow to prevent the foot from overheating during the ride to make the run a little easier. A shoe that fits the foot properly and conforms to the shape and size of the foot will make the ride more comfortable and allow for great power transfer to allow the rider to power through the ride. The shoe must fit properly to keep the foot secure while riding. Most shoes will be specific for men or women and this is mostly due to the size and shape of the foot which is very different for men and women. 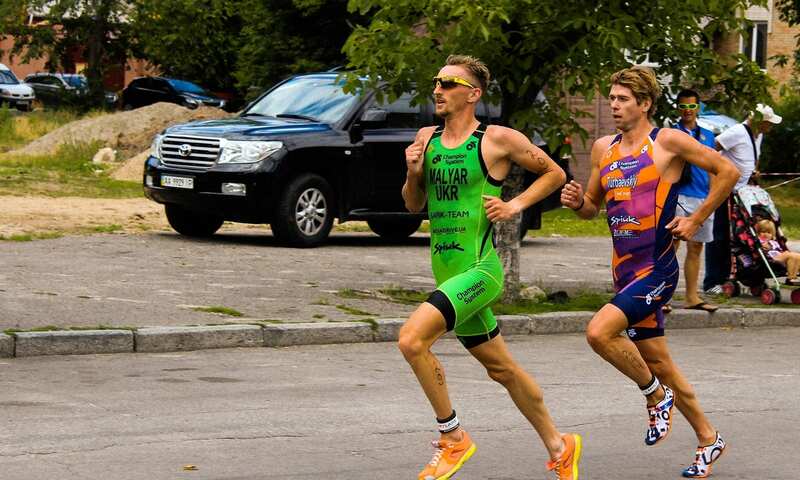 A triathlon is a race that incorporates three completely different disciplines. These include swimming, cycling and running. The Olympic standard distances for a triathlon is a 1500m swim followed by a 40km bike ride and then a 10km run. These types of races can be done as individuals or as relays with different people swimming, running or riding. Triathlons are divided into different age categories as well as different distances from Sprint to Olympic or Iron Man. This age group concept is a vital part of the sport and unique to triathlons. Training for a triathlon is not easy. 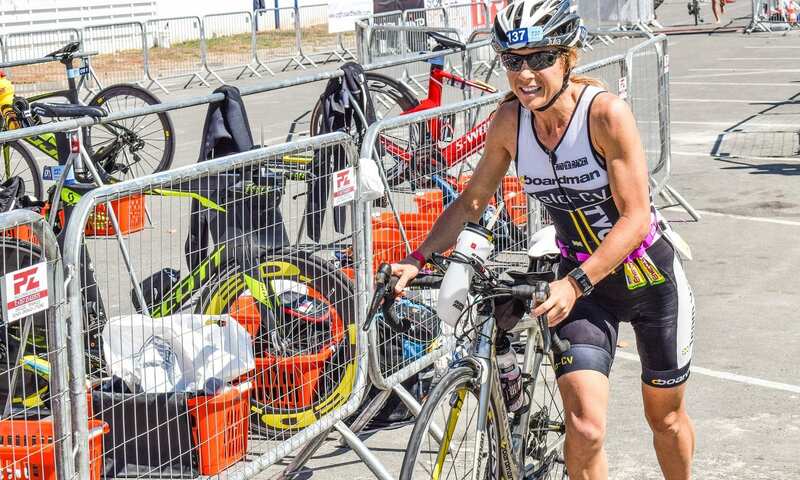 Not only do you have to train for a marathon, a long hard swim race but also a bike race. Sometimes this can be discouraging, however, if you follow a great training regime it will make you feel a lot more confident in your sport. It is important to concentrate on all three disciplines separately, this means you will set aside days where you swim, run or cycle. Training should incorporate at least three days a week and no more than six days a week of training. You should also ensure that time is set aside for you to recover and rest. Devote time to practice your transitions, especially from swimming to riding and riding to running. Transitioning is one of the most important aspects of a triathlon as it can either give you an advantage or cost you the race. So to conclude, set aside at least one day a week for swimming, a day for running and a day for riding. Use your other days to do weight and core strength training in the gym and practice your transitions. Ensure you get enough rest and relaxation in as well. There are five different types of triathlons. These are differentiated by the distances each leg will comprise of. The sprint triathlon is where the swim is only 750m, the bike ride is 20km and then finish off with a 5km run. This is a 1.5km swim followed by a 40km ride and a 10km run. This is essentially a triathlon that is double your standard Olympic triathlon with a 3km swim, 80km bike race, and a 20km run. These two are the most difficult of triathlons. The half-ironman includes a 1.9km swim, 90km ride, and 21.09km run. The Ironman includes a 3.8km swim with a long 180km ride and a 42km run. Participating in a running, swimming or cycling race is hard, participating in a race that includes all three of these disciplines is really hard. To be able to perform at your best you will require not only the best triathlon running shoes but also the best bike triathlon shoes. The transition from one discipline to another is an area where you can cut your times or ruin your chance of winning the race if you flounder. Great triathlon cycling shoes allow for a quick transition. They will offer great power transfer when pedaling hard. These triathlon cycling shoes should be lightweight, durable. 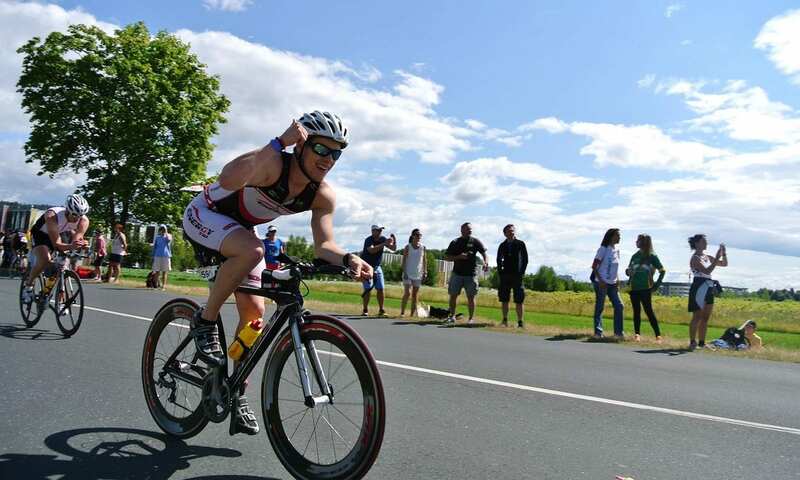 Triathlon bike shoes are specialized cycling shoes that are specifically designed to give the competitor the edge when participating in this very competitive sport. Cycling is where you can increase your lead or catch up to the leaders of the race and is an important middle part of a race. Having the best tri bike shoes can give you the edge and help you make up for a bad swim, or give you a slight lead heading into the hard run. The transition in a triathlon is one of the most important parts of the race. A cycling shoe that allows for on the go fastening and they should be easy to put on and remove. The triathlon is a fairly new sport as the first recorded triathlon was held on the 24th September 1974 in California. We hope you enjoyed our article on "The 10 Best Triathlon Cycling Shoes", if so, please share and rate it.